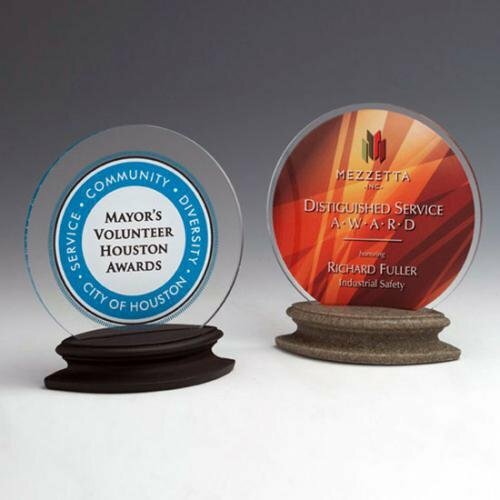 Black or moonstone cast resin bases are slotted to fit a disk of acrylic with an elegant and playful display. 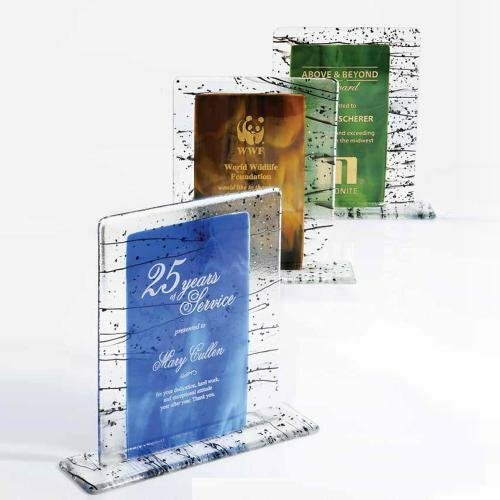 The imprint features a full color rendition of your artwork. 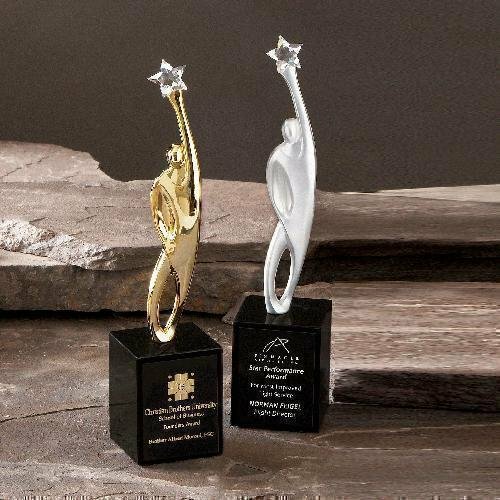 Production lead time for this product is 10 days. This product has a minimum order quantity of 3. 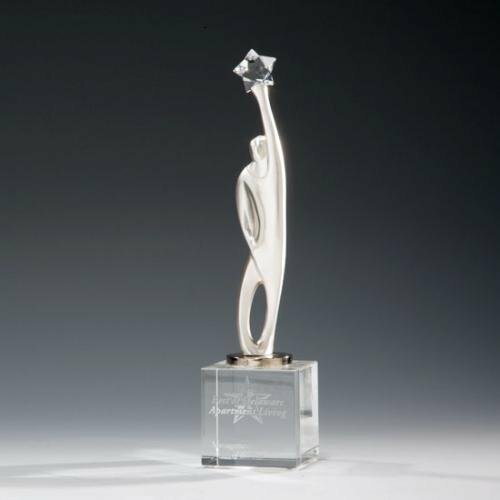 This symbol of victory is a contemporary styled sculpture with a gleaming cut crystal star raised high overhead. 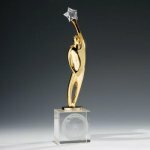 Available in either gold or satin silver plated finish, each award is mounted to an optical crystal base. 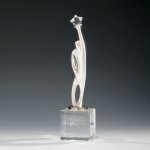 Production lead time for this award is 10 days. 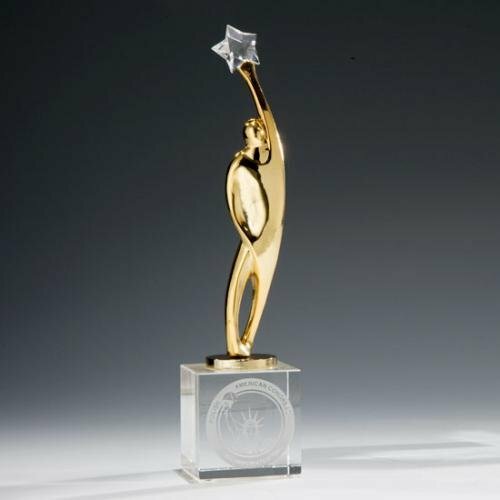 This award has a minimum order quantity of 3. 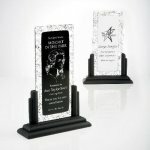 Award Figure holding hand faceted crystal mounted on ebony stonecast base with laser engraved black brass plate. Shades of sapphire, moss green and tortoise shell brown blend with black stringers to create these dramatic hand finished awards. 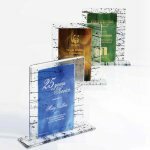 All art glass is hand made and will never consistently match. 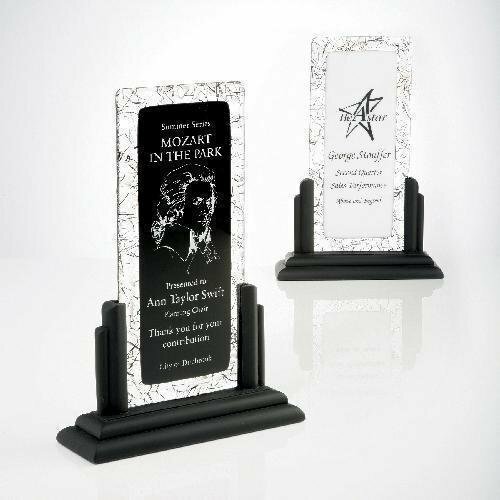 Amazing stain ebony stonecast base fits art glass award plate in a formal style at an amazing price. Clear and black stinger glass surrounds this rendition. 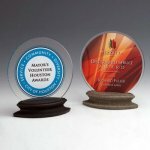 Fusion glass is perfect for laser engraving.